We’re the UK’s number one* car finance broker for a reason. We pride ourselves on being the best. We work hard and we’re constantly developing – our people, our processes and our technology, and we all share the same goal: to consistently deliver a seamless, easy and enjoyable experience to each and every one of our customers. There’s a strong entrepreneurial spirit which runs through the business, and is encouraged throughout every department. It’s important we keep this culture by hiring brilliant, driven and ambitious people who challenge the norm. So if you’re excited about a new challenge and want to work in a fast paced environment with a team of like-minded people, you’re in the right place. Take a look at our current opportunities below or get in touch. We’re good at what we do, but there is always room to improve which is why we’re serious about investing in our people. So much so we’ve actually developed our very own Academy, to deliver interactive learning, on the job training & fun activities in order to prepare you for joining your team. We think it’s important that learning doesn’t end there. As a member of our team you’re always developing, learning new skills and creating new opportunities for yourself. We really believe in our people & strive to ensure that you reach your full potential - in fact, over 90% of our managers have been promoted from within. Every member of the team receives a great set of work benefits, to make sure you get as much out of working here as you put in. Manchester born and bred, CarFinance 247 is an award-winning, successful, family business that puts people at the heart of everything we do. 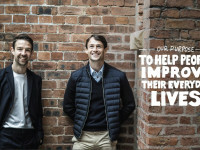 From supporting customers who are looking to fund and find a car, to investing in the teams who make that happen, we’re on a mission to help improve people’s everyday lives. Due to continued growth we are on the lookout for proud and passionate Account Managers to deliver an exceptional service to our customers and partners. You will guide our pre-approved clients through their car purchasing journey, right from the initial contact to helping them find the perfect vehicle to suit their needs. Working closely and efficiently with internal and external partners and dedicated support teams you will ensure the process is as easy and seamless as possible. Because you manage your own pipeline of customers, this is a longstanding relationship that goes above and beyond. We work hard in a supportive environment and enjoy the rewards and benefits that come from this. A bold business development individual with the ability to engage with clients and partners at all levels; working both consultatively and proactively to build strong relationships. With your professional and credible manner and excellent communication skills you will be able to deliver the highest level of customer service. A solid work history and track recrod of success in your field of work is a must. We are super proud of our working space and the talent that fills it so get in touch to organise a tour or informal chat with the recruitment team careers@carfinance247.co.uk. It’s all about finding the right person with the right mindset - who are hungry to succeed in a fast paced business, where opportunities really are endless. As an Android Mobile Engineer, you will be involved in developing CarFinance 247’s mobile applications on Android. You’ll have a strong focus on streamlining the customer journey, utilising mobile technology to do so. You will need to be professional, hardworking, talented and have a thirst for programming and problem solving. At CarFinance 247 we work hard and we’re constantly developing – our people, our processes and our technology and we all share the same goal; to consistently deliver a seamless, easy and enjoyable experience to each and every one of our customers and employees. Investing in our people is a priority, so much so we’ve developed and run our very own Academy. If you’re lucky enough to be a part of our academy you can expect interactive learning, on the job activities & fun activities such as quizzes in order to prepare you for joining your team. You can be certain that with CarFinance 247 you’re always developing, learning new things and creating new opportunities for yourself. In fact, 90% of our managers have been promoted from within. We really believe in our people & strive to ensure you reach your full potential. So if you’re excited about a new challenge, want to work in a fast paced environment, with a team of like-minded people, you’re in the right place. Apprentice Accounting Administrator . .
You will learn and gain experience from working within a transactional team and complete a number of tasks including; investigating internal queries within the finance department, input information onto the internal system, check amounts received compared to lender remittances, maintain up to date contracts file, split out batch payments and code individual transaction. You will be guided by our brilliant financial transactions manager who will fully support you into your career in finance. You don't need experience in Accounts, but you do need a positive attitude, a professional outlook and looking to begin an exciting and challenging career! This is a full time position Monday to Friday 37.5 hours per week. Apply today for an immediate interview! As a Business Administration Apprentice you will have the opportunity to join one of our busy administration based departments such as complaints, customer service, sales administration or insurance. You will undertake tasks such as data entry & other tasks as required by your line manager. You must have excellent inter-personal skills and be able to work effectively under pressure in a fast paced working environment. Achieve individual targets and KPI’s. Taking responsibility for your own workload reporting any concerns to the line manager. IT literate with strong keyboard skills. Confident telephone manner with strong rapport building skills. You can be certain that with us you’re guaranteed to develop your career. You’ll be learning new things every single day thanks to our dedicated training team. We really believe in our people & strive to ensure every single person reaches their full potential. If you’re excited about a new challenge or simply want a chat with a member of our recruitment team, you’re in the right place. 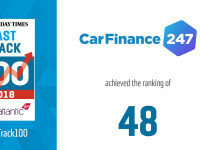 CarFinance 247 are an award-winning, high-tech, family business that puts people at the heart of everything we do. From supporting customers who are looking to fund and find their car, to investing in the teams who make that happen, we’re on a mission to help improve people’s everyday lives. Due to company growth we are recruiting for our aftersales care team. You are passionate and knowledgeable about cars, particularly the mechanics of a car. This means that when you are mediating between our customers and dealers you are able to confidently and accurately respond to their complaints and queries as well as build a high level of trust between both parties. What’s great about the role is that you have full ownership of your cases, whilst being supported by expert line managers and in-house tailor-made technology ensuring a precise and timely resolve. A customer orientated superstar! You genuinely care and want to make sure that you do what is right for the customer, understanding that an issue with a car can be a highly stressful experience and doing your upmost to put it right. You love cars! Whether you are a qualified car mechanic or hobby is to tinker with an engine we would love to hear from you. We are super proud of our working space and the talent that fills it so get in touch to organise a tour, see the Job Description in full or informal chat with the recruitment team careers@carfinance247.co.uk. We’re the number one car finance website in the UK for a reason. It’s because we pride ourselves on being the best. Our business is driven by a strong entrepreneurial spirit, which is encouraged throughout every department. We keep this culture by only hiring brilliant people who are driven, ambitious and challenge the norm. We’re good at what we do, but there is always room to improve which is why we’re serious about investing in our people. To lead, coach and manage a team of Customer Care Advisors. As a hands-on manager, you’ll manage and develop a team of investigators to provide timely answers that are fair. Combining your operational, decision making and people management skills, you’ll make sure that you and your team are proud to deliver a professional service to our customers, this includes meeting expected performance standards KPI’s and targets set by the Head of Customer Care. Responsibility for of all complaints in the business, including all regulated complaints, third party complaints and all expressions of dissatisfaction, ensuring complaints are handled in line with FCA guidelines and meet business targets. Coaching and professional development to help your team maintain and continually improve the problem solving and customer service skills. At least 3 years’ experience working as a complaint handler. At least 2 years’ experience in a team leader or team manager role. Understanding of the Supply of Goods Act 1982, Consumer Rights Act 2015, Treating Customers Fairly (TCF), Data Protection Act 1998, Consumer Credit Act 1974, and Financial Conduct Authority (FCA) guidelines. You will play a key part in supporting our customers through each stage of their journey with CarFinance 247, from the application stage to completion. You will get an insight into many areas of the business from underwriting to sending documents out to our customers and helping to answer their questions. Using different skills, will complete a variety of tasks that include security checks, document verification and general customer service. In order to be successful in this role, you will be flexible in your approach and be willing to learn new skills. ‘Required’ A minimum of 1 year’ continuous experience working within a customer services environment. Someone highly motivated and able to work under pressure. Someone who has a confident and friendly telephone manner. As a Dealer Service Executive on our growing Dealer Relations team, you will be ensuring that our dealers experience a high level of service and support from CarFinance 247 by supporting the full dealer journey - including all aspects of the car search administration. You will have the responsibility for the linking of customer referrals to our trusted dealers, helping CarFinance 247 achieve revenue targets. Answer inbound calls from our dealers and internal departments within CarFinance 247, as well as making outbound calls. Provide a high level of Customer Service and support for our Dealers at all times. Achieve linking targets by taking ownership of dealer accounts and contacting dealers to confirm referrals. Actively contribute to your team in a positive way, inspiring and encouraging each other towards team targets. Experience in a telephony based role and delivering a high level of service. Strong ability to prioritise workload and use initiative. Conscientious and able to work with attention to detail. CarFinance 247 are an award-winning, high-tech, family business that puts people at the heart of everything we do. From supporting customers who are looking to fund and find a car, to investing in the teams who make that happen, we’re on a mission to help improve people’s everyday lives. You will be managing and leading a close-knit team as well as getting involved with hands on IT support on a daily basis, this does include being able to respond quickly and accurately to any issues via internal ticketing. As the lead of our dedicated IT team, you will have the unique opportunity to work closely alongside our CTO as a key part in the current development of the IT systems and overall strategy. 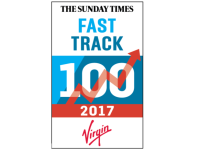 This is a perfect opportunity for someone who wants to have an impact quickly and work in a fast-paced growing business. You will already be knowledgeable and a very strong communicator. You will have a natural ability for problem solving & take a pro-active approach to your work in order to deliver on business needs within the function. We are super proud of our working space and the talent that fills it so get in touch to organise a tour or informal chat with the recruitment team. Every month approximately 40,000 people apply for funding and our team of proud and passionate Lead Generators work hard to ensure we can help. This is an exciting opportunity to be a key part of a growing business. With an in-depth training programme, supportive team and extensive database, you will pre-qualify applicants of CarFinance 247 and introduce them to their dedicated account manager in an efficient and timely manner. This is a fast paced, team focused role where you and your team mates will work together to identify the customers need before qualifying them. You will enjoy our impressive commission structure (£450 per month) and benefits package as well as being part of the 247 family. Your excellent customer service ethos will ensure that you deliver an excellent customer focused journey on every call. This team has a work hard play hard spirit meaning every day is different and every day is a success! To assess vehicle quality complaint claims in line with the Supply of Goods Act 1982 and Consumer Rights Act 2015. Case Management of vehicle complaints, complex queries and customer dissatisfaction. Liaising with internal and external stakeholders to determine the appropriate resolution in order to achieve fair outcomes. Log relevant information, communicate confidently and professionally and able to mediate. Ownership of vehicle related complaint cases, ensuring that customers are responded to in a timely manner and that complaints are fully resolved. Investigate complaints by liaising with internal and external stakeholders as well as using internal systems. Write an investigation report based on diagnostic and inspection reports to bring the complaint to a conclusion. Hours: we currently have part-time evening or weekend shifts available. Evenings 5pm – 8pm and weekends various. We understand the importance a healthy, attractive work space can impact the energy of a team. That’s why our impressive offices based in Ardwick are kept to a high standard by our dedicated team of cleaners. You will perform a variety cleaning and related tasks. Our cleaners are in charge of maintaining all public and private spaces to employer standards. Duties will include vacuuming, mopping, surface cleaning, waste collection, dusting, and bathroom and kitchen services. Attention to detail and a positive attitude a must as you will be working alongside your colleagues. The right person is punctual, thorough but fast, and eager to learn. You will be working as part of a fast paced sales team within our insurance department. Pitching the GAP insurance product to customers, successfully closing deals and maintaining excellent customer service throughout each sale. Realistic OTE - £40,000, however our highest earners are taking home £50,000! Making outbound calls to existing customers who have just purchased finance through us, with the aim of advising them about GAP insurance. To achieve individual targets and KPI’s and work as part of a team to ensure that team targets are achieved and best practice is shared. Ultimately, as the last department to have contact with the customer, to provide an impeccable customer experience and leave the customer with an overwhelmingly positive impression of the company. Make outbound (warm) calls to existing customers who have just signed up to a finance agreement through our company, in order to give them advice on GAP insurance. Proactively arrange call backs for interested customers to give them time where required to make their minds up regarding the optional protection. Manchester born and bred, CarFinance 247 is an award-winning, high-tech, family business that puts people at the heart of everything we do. From supporting customers who are looking to fund and find a car, to investing in the teams who make that happen, we’re on a mission to help improve people’s everyday lives. You will join us in our goal to not just create a best-in-class customer experience but become a World Class IT capability, pushing the scrum teams towards a strategy and vision. A bold leader with a strong understanding of digital transformation, you don’t just facilitate agile ceremonies, but actively seek to make incremental improvements in how teams own & operate outstanding working products. A passionate team coach, trailblazer, project manager with a strong leaning towards technology. Interested in modern delivery methodologies and a strong understanding of digital transformation, you may well be a thought leader in these areas or talk regularly or write blogs on these subjects, in any event, you will be a subject matter expert on them. You will also want to create your own personal stamp in the industry and be industry recognised for it. We are also going through a bit of an evolution. We’ve just been joined by one of the top CTO/CIO’s in the country, who has brought with him amazing energy and ambitious growth targets, our operational floor is servicing more customers than ever, expecting to originate more than £50m worth of loans this year. More recently we have become our own lender through our 247Money brand. You will help to support our risk team through development, oversight and management of the risk systems and interfaces. Accuracy of data and the generation of automatic reports is a huge part of this role, as is interpretation, challenge and development of the credit risk systems and infrastructures. Through the use of SQL you will generate automatic risk reports, confidently making recommendations on the loss/default assumptions to be used in acquisition or customer management decisions. This role is key in helping to grow CF247 and support our internal and external customers including stakeholders at all levels. A number cruncher with great knowledge and experience in the consumer credit risk field. Commercially minded, you will have already made your stamp in the industry and will want to duplicate this for a company who hold an entrepreneurial family spirt at the forefront of everything they do. In turn you will inspire and nurture both your team and the stakeholders you present your analysis to. You will be DevOps experienced with knowledge of public cloud (ideally Google) using Kubernetes to orchestrate the deployment of our applications through containers. Our development expertise lies in C#, this has informed our strategy to focus on .Net Core, meaning C# expertise is a must have skill. We have an “Owned & Operate” model in place so that you take responsibility for what you develop as it goes to live and evolve it through delivery of the backlog via the Scrum approach. We are strong believers in collaboration and use Atlassian tooling to facilitate everything from stories and tasks, to architecture, design and general knowledge management of our API based products/services. A passionate technologist with experience of C# and modern .NET/.Net Core frameworks, you will have an understanding of SQL/T-SQL, NoSQL and modern event driven and microservice architectures. We want someone who wants to elevate their career, work with some incredible people and enjoy a work/life balance. “As a Technology enabled business we recognise that we have to constantly evolve to keep pace with the digital world, finding the careful balance between leading and bleeding edge. Our technology enables a disruptive and better way for our customers to both finance and find a car, and supports our ambitious growth targets over the coming years. Our goal is to create a best-in-class customer experience by becoming a World Class IT capability - we already have a spectacular working environment. The next part of our digital evolution programme focuses on a full move to DevOps and a migration to Google Cloud. It’s a truly exciting time to be part of our journey”. 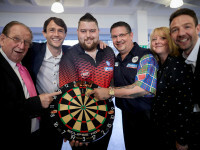 To manage the Customer Care team to achieve KPI’s and targets as well as delivering an excellent customer experience. Taking the responsibility for of all complaints in the business, including all regulated complaints, third party complaints and all expressions of dissatisfaction, ensuring complaints are handled in line with FCA guidelines and meet the team target set by the Head of Customer Care. Complete regular team audits to ensure individuals are meeting expectations and to identify risks. Manage performance through 121’s and performance management of each individual. Take ownership of all escalated complaints, FOS complaints and cases which exceed a 6 week timescale. Supply detailed investigation reports, actions taken and proposed solution with justifications to Customer Care Complaints Manager/Head of Customer Care for process or cost sign off. Proven track record of coaching, developing and managing a team. You can be certain that with CarFinance 247 you’re always developing, learning new things and creating new opportunities for yourself. In fact, 90% of our managers have been promoted frof you’re excited about a new challenge, want to work in a fast paced environment, with a team of like-minded people, you’re in the right place. You will make a high volume of outbound calls to customers who have applied online for car finance with CarFinance 247. Quickly building rapport with the customer, pre-qualifying them and transferring them to their own dedicated Account Manager. Weekly incentives - cash bonuses and prizes! At CarFinance 247, we create personalised and high quality customer experiences driven by amazing people, outstanding tech and streamlined processes. We started out as a little fish in a big pond, with just 20 staff in 2013 and of them, just 1 developer(!). Fast forward 6 years and we’re a team of 450. Our in-house development team is 60-strong, and we’re constantly bolstering our systems and implementing new and exciting tech to make sure we’re offering a service that’s the best it can be. Not only that, we’ve been able to cement our position as the UK’s No.1 Car Finance Broker*. And this really is just the beginning. You will be working towards the implementation of our newly created UI across both our website and customer application forms. Working closely alongside our wider design team and with our front-end developers, you’ll be involved with creating great webpages and illustrations to complement our customer journey. In addition to this you will also have the opportunity to get involved with the UX testing, general problem solving and generating ideas to continue creating those exceptional experiences for each of our customers. You’ll be joining a growing close-knit creative team, as part of our wider technology department who are on an exciting journey. You will be well experienced in creating pixel perfect design and have excellent vector illustration skills. It is important that the successful candidate completely understands mobile first design as well as the experience of creating top quality websites. The right person will already be using the likes of sketch day-to-day and has key skills in typography & designing web banners. We would love to see your latest work so send us your CV and portfolio! We’re also super proud of our working space and the talent that fills it so get in touch to organise a tour or informal chat with the recruitment team. You will be part of a dedicated team of Developers who want to put their stamp on the industry – and this is certainly the place to make that happen! You will have the unique opportunity to make an impact and produce quality, super-slick Mobile & Web UI in order to improve our overall customer experience. You’ll be a pro with HTML, CSS and SCSS and have a strong understanding of the best approach to building web components, cross-browser compatibility and touch device testing. You will be knowledgeable and want to keep up to date with everything tech. Therefore, you will want to know the best software and methods. From working closely with our Front-end Lead & our product owners, you will have a collaborative approach and an eye for design. This is an exciting role within a department that is on a rapid period of growth, giving the successful candidate the opportunity to potentially lead and shape the direction of the team in the future. We are looking for conscientious and driven individuals to make lending decisions on customer’s applications. Our business is evolving which means this is an incredible opportunity to be a part of the success story. Over the next 12 months this area will grow immensely meaning the opportunities are endless for the right person. Analyse documents such as; bank statements, payslips, proof of address etc. You will be working with like-minded UX Designers and Product Owners who create user focused content for our customers. You will certainly play a key part in the overall UX & SEO strategy as well as having the opportunity to make an impact to improve/produce our complete tone of voice. By creating engaging and insightful copy you will have your chance to really make a difference and join our current digital evolution. You will be well experienced in writing UX based copy and measuring success by conversion rate optimisation. You will also be someone with a keen eye for detail and solid understanding for SEO and copywriting best practices. Someone innovative, strategic and adaptable will thrive in this exciting role. You will be working alongside our UX Copywriter, team of UX Designers and Product Owners who create user focused content for our customers. You will certainly play a key part in the overall UX strategy as well as having the opportunity to make an impact quickly to develop our user journey. This a key time to get started with the business in driving forward a great user experience on the software that will power our sales department. You will be well experienced in researching with users and being able to demonstrate customer centric thinking. You will be a great communicator who is comfortable with complex architecture, wireframing and prototyping. You can apply for one of our vacancies or send us a speculative CV to careers@carfinance247.co.uk and one of our talented recruitment team will get back to you. Alternatively, if you’d like any additional information on any of the roles listed, simply send us an email to the address mentioned above and we’d be happy to help!